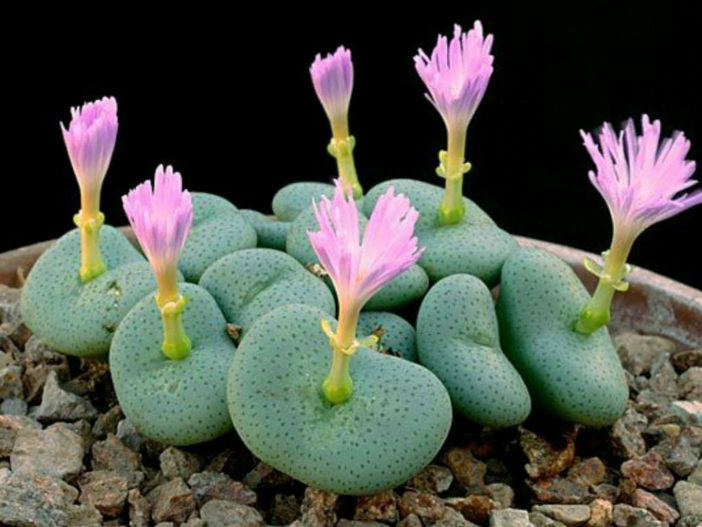 Conophytum wettsteinii has a broad top up to 1 inch (2.5 cm wide) and narrowed base. 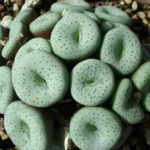 Individual plants seem circular from above, with fissures up to 0.16 inch (4 mm) long. 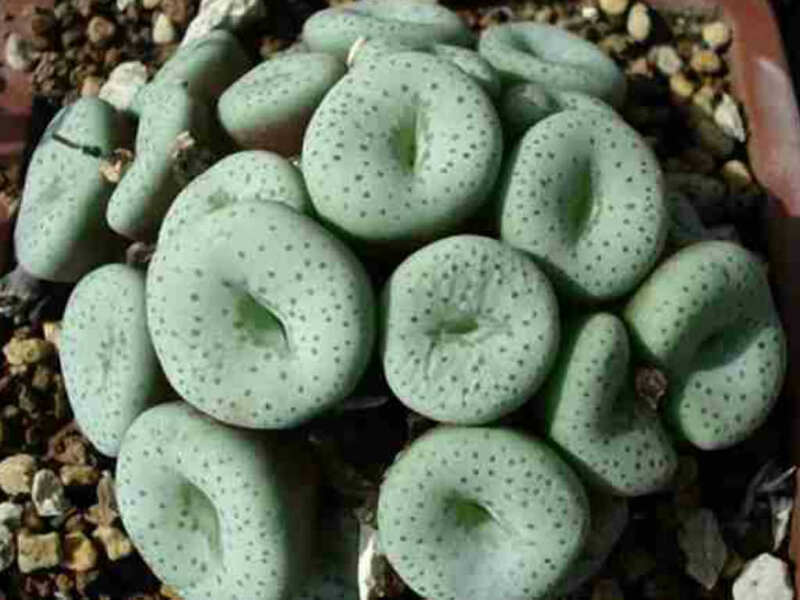 The plant has a green to blue-green color with a spotted, smooth epidermis which may appear glossy. 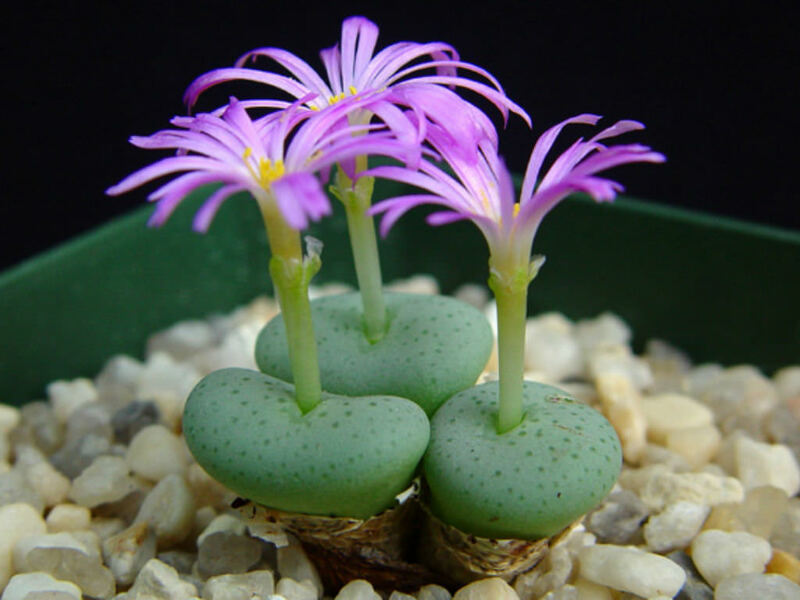 It flowers only in autumn, with scentless flowers opening during the day. 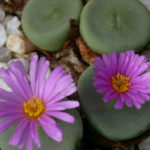 Flowers are short and wide, ranging in color from magenta to pale pink or rarely white. 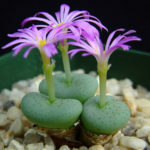 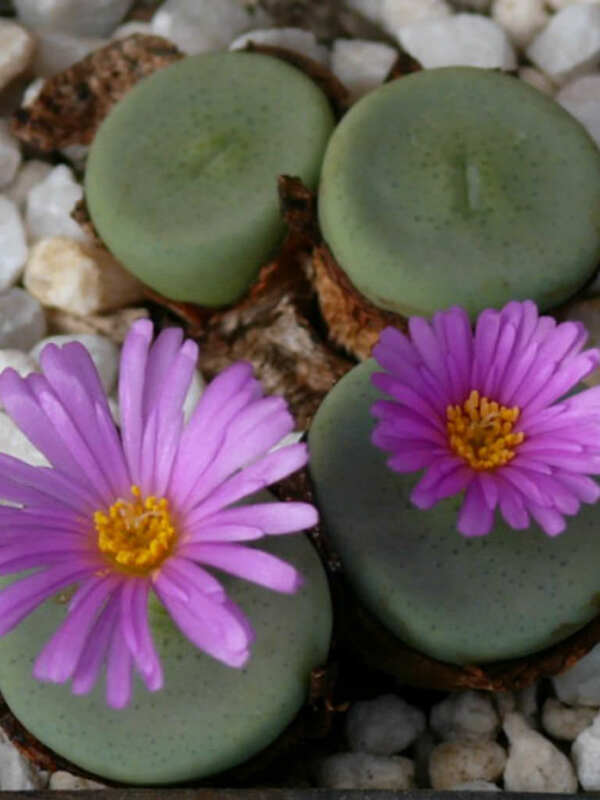 Conophytum wettsteinii is native to South Africa.